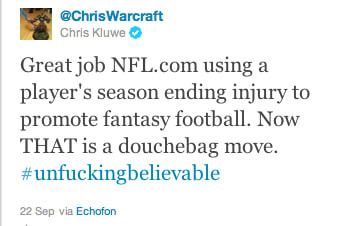 Complex Says: Kluwe isn't your average idiot kicker. He speaks his mind and we commend him for it. The NFL is shameless in the way it conducts business. Here's the evidence.